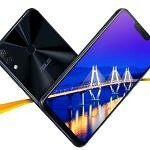 At an event in Delhi on Wednesday, ASUS has officially launched the ASUS ZenFone 5Z in India. The ZenFone 5Z is a Qualcomm Snapdragon 845-powered affordable flagship, and it will be available exclusively via Flipkart. It’s been a long time since ASUS has launched a flagship smartphone in India. The company experienced success with the first-generation budget ZenFone series launched in 2014, consisting of the ZenFone 4, ZenFone 5, and the ZenFone 6. The Intel Atom-powered ASUS ZenFone 2 series, launched in 2015, also went on to be quite popular. However, ASUS exited the value smartphone price segment in 2016 with the Snapdragon-powered ASUS ZenFone 3 series, which were priced much higher. In 2017, the company did not launch the ASUS ZenFone 4 or the ASUS ZenFone 4 Pro in India. 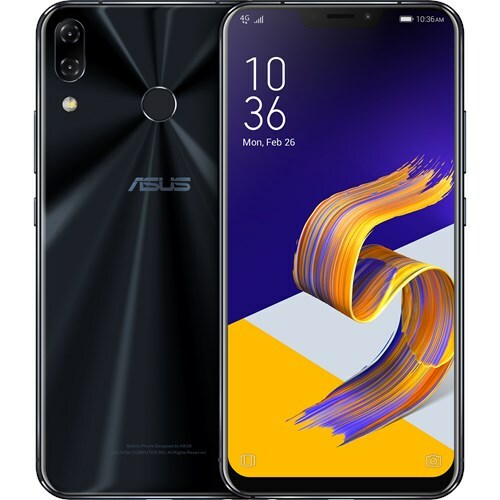 In April, it launched the ASUS ZenFone Max Pro M1, a phone which has become one of the most popular phones in its price segment. Now, two years after the ZenFone 3, ASUS has launched the Snapdragon 845-powered ZenFone 5Z flagship in India. The ZenFone 5Z is a standard 2018 flagship phone in terms of the design. On the front we have the 6.2-inch notched display, and a small chin at the bottom. The phone has a metal frame, and a glass back with ASUS’ signature design pattern that is used in the company’s range of laptops. The dual rear cameras are placed on the top left of the back, while the fingerprint sensor is placed in a centered layout below. The ASUS ZenFone 5Z has a 6.2-inch Full HD+ (2246×1080) Super IPS+ display with an 18.7:9 aspect ratio. It has a 96 percent NTSC coverage and it supports the DCI-P3 color gamut. It is rated for a brightness rating of 550 nits. It has an Auto Color Temperature feature that is similar to Apple’s True Tone feature in the iPhone X. The feature dynamically adjusts the color temperature of the display on the basis of ambient light. The ZenFone 5Z’s primary 12MP rear camera has a Sony IMX363 sensor, 1/2.55″ sensor size, 1.4μm pixel size. It has a f/1.8 aperture, 24mm focal length, phase detection autofocus, and four-axis OIS. It’s augmented by an 8MP wide-angle camera with a 120-degree field-of-view and 12mm focal length. The phone can record video at up to 4K resolution at 60fps, and it has three-axis electronic image stabilization (EIS). The phone has an 8MP front-facing camera with f/2.0 aperture, 24mm focal length, and 83-degree field-of-view. The ASUS ZenFone 5Z will be available in Midnight Blue and Meteor Silver colors. The phone will go on sale exclusively on Flipkart starting July 9th. The 6GB RAM/64GB storage variant costs ₹29,999 ($437), while the 6GB RAM/128GB storage variant costs ₹32,999 ($480). The top-end 8GB RAM/256GB storage variant will be available for ₹36,999 ($538). This makes the ZenFone 5Z the cheapest Snapdragon 845-powered phone on the market, undercutting even the OnePlus 6 by a significant amount. Other Snapdragon 845-powered phones such as the Xiaomi Mi 8, LG G7 ThinQ, and Sony Xperia XZ2 haven’t been launched in India yet. This means that in terms of performance, the ASUS ZenFone 5Z’s competitors faces competition from the OnePlus 6 and the Honor 10 in its price segment in India. Launch offers include flat ₹3000 discount on ICICI credit and debit cards, Flipkart’s ‘Complete Mobile Protection’ at ₹499, Jio offer with “₹2200 cashback and 100GB additional data.” ASUS states that buyers of the ASUS ZenFone 5Z can make use of service benefits like invoice free walk-in, free pick-up and drop, and device swap at service centers.